How can I edit a guest's RSVP? Yes, on your Manage Invitation page you can click on the current RSVP next to the guest you are looking to edit. You can also click on the Manage Guest gear symbol for the guest and choose Edit guest details). Either of these options will allow you to update the name and/or the RSVP of that guest. 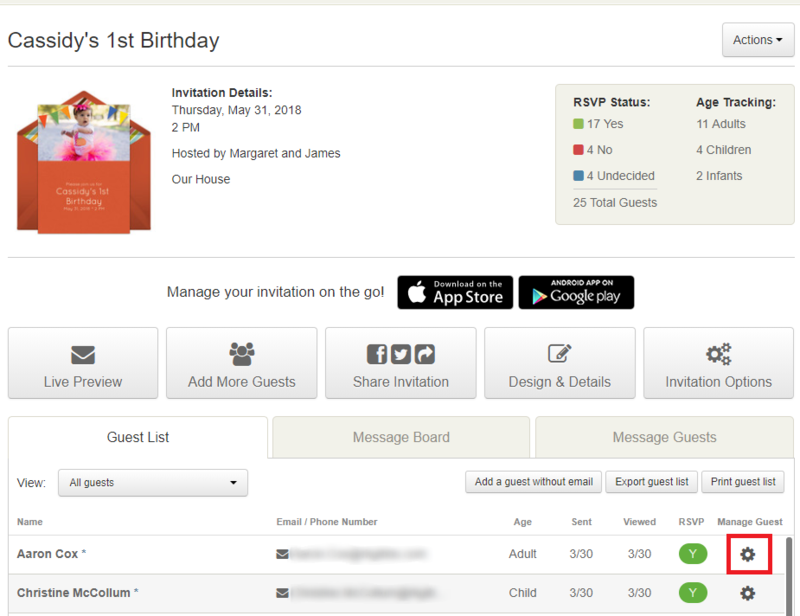 To edit a guest's RSVP when using the mobile app, first, tap on the My Invites tab and choose your invitation. Next, select Manage Guests and then tap on the guest.